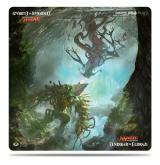 Ascension Theme Packs are expansion packs which make a great addition to enhance your Ascension experience. 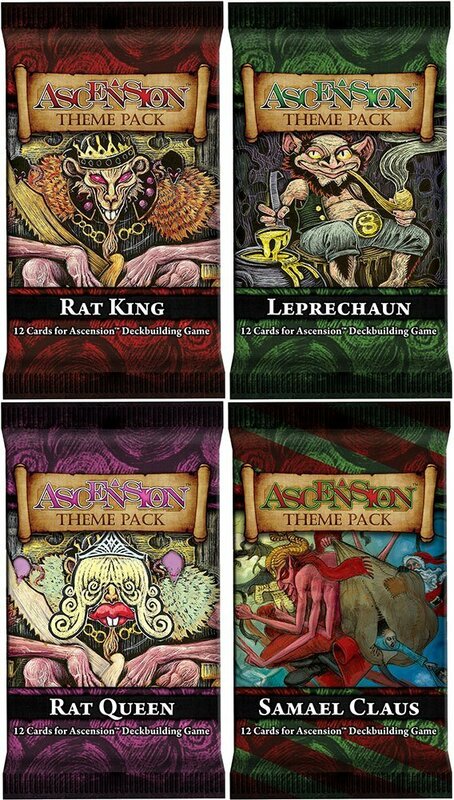 Each display box unit of the Ascension Theme Packs is a display case with 24 individual packs with MSRP of $4.99 per pack. Each case of theme packs contains 6 of each of the following packs. Rat King, Rat Queen, Leprechaun, and Samael Claus. These packs do not have random contents, each pack of the same name will have the same exact 12 cards. Each pack retails for $4.99. "Have You Been Naughty or Nice?" This pack contains ten copies of Samael’s Little Helpers and two copies of Samael Claus. The Rat Queen continues the chaotic tradition of the Rat King, but with an even more malicious twist! Recruit a Leprechaun to help you horde the gold, and get rewarded for getting as many Pots of Gold as you can! "It’s Good To Be King!" 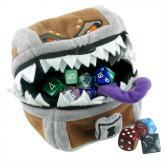 Add a little mayhem to your game of Ascension with the Rat King! Now updated to feature the proper Fate formatting!